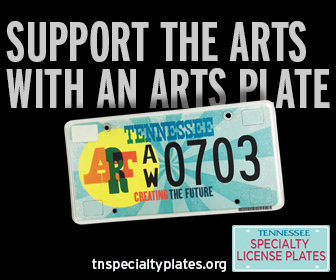 70% of state arts funding comes from the sale of arts and collegiate license plates. And now you can buy a GIFT-A-TAG voucher for the purchase of any of Tennessee’s Specialty License Plates. (There are over 100 designs to choose from!) GIFT-A-TAG vouchers are just $35 each, and you can buy as many as you want—for your family, friends or treat yourself. Each GIFT-A-TAG is good for the purchase of a Specialty License Plate or the personalization of any license plate. Click here to purchase your voucher today!